Prevent Cancer Now » It is a New Year – help us build on strengths and successes! Four decades after US President Nixon declared war on cancer, the war is far from won. In recognition of this sad fact, the preeminent medical journal, The Lancet, just published The Cancer Wars. In one paper in the series, Global cancer patterns: causes and prevention, Vineis and Wild summarize world-wide cancer data, highlighting disparities in incidence and the importance of primary prevention. Each quarter, over 20,000 Canadians receive our on-line newsletter, An Ounce; log into our Facebook page; or act on PCN Tweets. 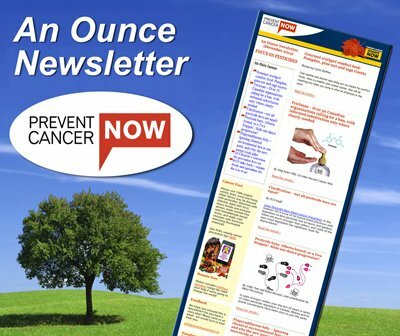 An Ounce has garnered notable praise: “Excellent e-Newsletter. One of the best I’ve seen yet!” said John Bennett, National Campaign Director, Sierra Club Canada Foundation. Patients, survivors and families are learning how to prevent occurrence or recurrence of cancer, through our presentations at the Maplesoft Centre, operated by the Ottawa Regional Cancer Foundation. Presentations will soon be rolled out across Canada. Prevent Cancer Now helped to make the promised “cosmetic” pesticide ban in Manitoba happen; supported review of pesticides used in Canada but banned elsewhere; and called for protection of bees from pesticides; and we continue to work hard to strengthen pesticide regulations in British Columbia. We have supported local organizations in their efforts to prevent the use of incinerators, successfully ending consideration of incineration in Meaford and Brant County, Ontario and in Powell River, BC. Now that the mining and export of asbestos has ended in Canada, Prevent Cancer Now continues to work with RightOn Canada activist Kathleen Ruff to stop the Canadian government’s continued support of asbestos internationally, and to protect Canadians and support and protect victims and their families at home. We have also been working with our many partners to eliminate toxins from personal care products, ban youth from using tanning beds, and stop coal-fired plants in Ontario, among other issues. 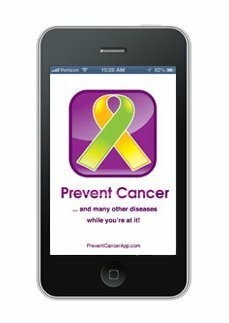 Prevent Cancer Now has big plans for 2014, including a re-vamp of our website to bring better information to you in a way that’s easier to act upon. We are proud that more and more people now know that cancer is NOT inevitable; that there is much we can do to protect ourselves and our families. We are helping Canadians become savvy shoppers, and we are demanding that cancer-causing agents be taken out of products. We are supporting sustainable energy, agriculture and industrial practices, and are demanding that regulators consider health and the environment in their decisions. The Board of Prevent Cancer Now wishes you health, peace and happiness in 2014, as together we all continue to work for healthier people, in a healthier world. Please donate to Prevent Cancer Now today. We need you more than ever!